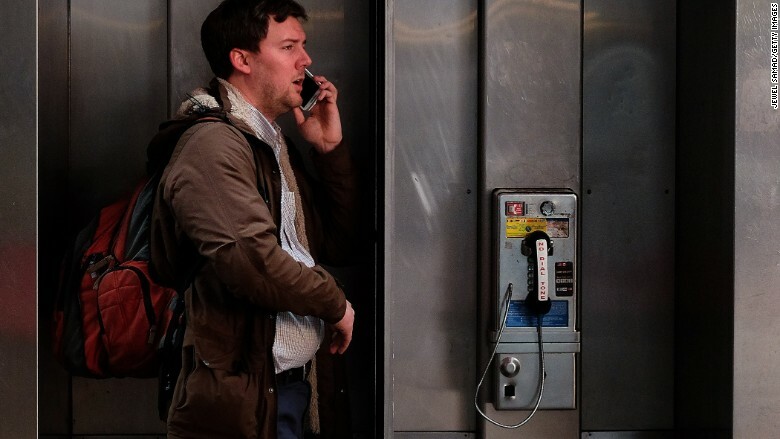 Verizon will soon start testing toll-free data, just like 800 numbers used to allow you to place toll-free phone calls. Remember toll-free "800" telephone numbers? They're coming soon to your data plan. Verizon will begin testing toll-free data, in which third-party companies will pick up the tab for your data usage when you download content from their apps, websites and services. That's just like when you dial an 800 number -- the company you're dialing pays for the call, not you. So how would toll-free data work? In one hypothetical example, CNNMoney might pay for the megabytes of data that you use when you read stories, check stocks and watch videos on the CNNMoney app. Or a music app could pay for the songs you stream on your smartphone. None of that data would count against your bucket of gigabytes that you pay for every month. The story was first reported on Re/code and confirmed by a Verizon spokeswoman. AT&T (T) has also been testing toll-free data for nearly two years, but it hasn't been heavily promoted. Last month, T-Mobile (TMUS) unveiled its "Binge On" unlimited streaming plan, in which certain customers can stream videos on their smartphones without that data counting against their data plans. T-Mobile has a similar deal for streaming music. But Netflix, Hulu, Spotify and other companies included in those free streaming deals aren't paying for that data -- T-Mobile is just giving it away for free. Verizon and AT&T are trying to get third-parties to sponsor the data themselves. The toll-free data initiative will likely raise questions about net neutrality and fairness. If a big company has deep enough pockets to pay for your data, it's possible that you would favor that service over a rival's app that counts against your monthly data plan. A Verizon (VZ) spokeswoman declined to comment on toll-free data's net neutrality implications.